We are very pleased to present this wonderfully rare concourse condition Porsche 911 "MY 1965" from the 301 underbody series. MY 1965 denotes the car was built between January and July 1965. Of the 3319 cars produced in 1965, 1700 were MY 1965 of which only a few hundred still exist. On the 31st May 1965, the Porsche Centre Pacific, Burlingame, California, supplied this car to Mr Walter Matson of Pleasanton. In the early 90`s the car was exported to Sweden. In 1997 the car was sold to a Dutch collector who restored the bodywork. The car was then left untouched and lost between a large racing collection until it was sold on to its last owner in 2014. 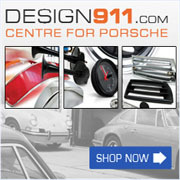 Since then renowned and approved Porsche specialists have meticulously restored the car to its original state. The bodywork has been restored at a cost of 30,000. - Euros. The matching numbers engine has been fully revised, the mechanics work flawlessly thus giving an improved performance. The interior has been fully restored using only authentic materials. The car has been brought up to absolute concourse condition, every detail exactly the same as when the car rolled off the production line in 1965! The whole process has been extensively documented with photos and invoices, supporting the claim that this is an authentic restoration. The car has a 'Champagner Gelb' finish with black trim. The car sports a factory fitted 'Webasto' heating system. It comes with a FIA rapport and Kardex, confirming all relevant numbers. This very rare 911 MY 1965 is, in our opinion, the absolutely best 65' 911 currently available!